In my most recent Features Fridays post, I alluded to an exciting request that was made of my husband. At the time, I was not at liberty to share with you the specifics of that request, however, the time has now come to reveal the particulars. My hubby is an avid video gamer. He is also a wealth of football knowledge, having played the game from the time he was a little boy, all the way through college. So, whenever a new football video game is announced, he gets all giddy with excitement and the hope that this game will finally be the one that plays like the real thing, and never more so than five years ago when it was announced that a new football game was in development that would utilize real world physics and reactions rendered “on the fly” rather than canned animations. The name of this game is Backbreaker. For five years he followed the progress Backbreaker, being very active on the forums, and savoring every morsel of information that was announced, up until the game release date. However, like any true fan, he didn’t stop there. Having already made the acquaintance of one of the game’s developers, he began offering feedback about the gameplay, and details about the game of football that needed to be incorporated, or perhaps even fixed, in the video game. 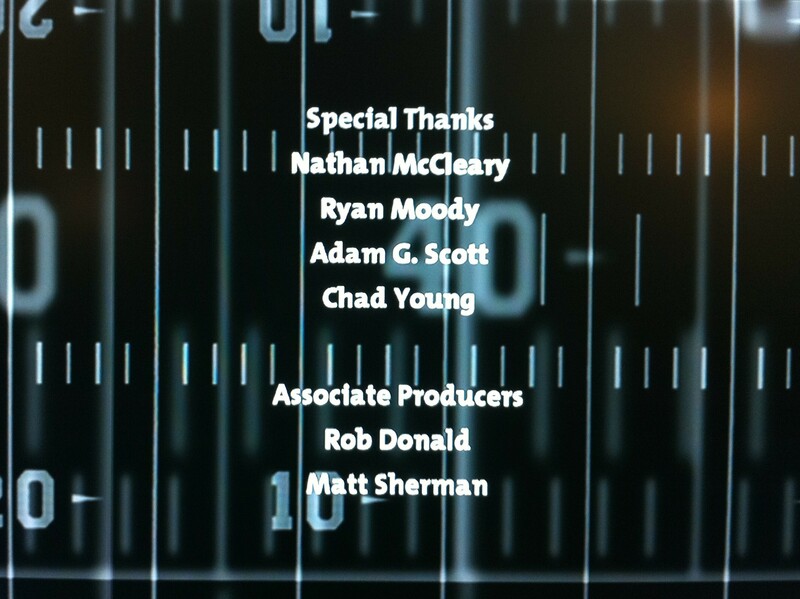 He has been such a big help that he has now officially been credited in the “Special Thanks” portion of the game credits! That’s right, if you play Backbreaker and view the credits, you’ll see my hubby’s name scroll right up the screen. But, for those of you who aren’t gamers, or have no intention of going out and purchasing this game, here’s a little screen shot I grabbed today.